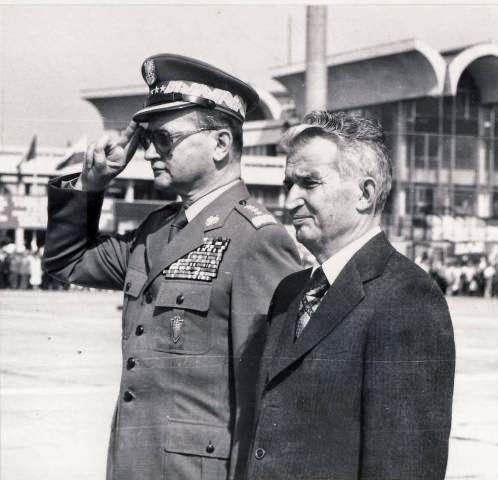 and Nicolae Ceaucescu, the last Communist leader of Romania. What happens to Communist despots after they have been deposed? It seems, unlike the people they replaced, they go on to live long lives of freedom. They get to enjoy the fruits of the democracy they suppressed. It’s a sad irony, and I was once again reminded of it when I heard news last week that Wojciech Jaruzelski died. He was the last Communist leader of Poland, one more remnant of the Cold War that ended in the 1989-1990 period. When I was growing up, I listened to the news from a young age. Every day there were stories coming out of Poland about protests in the Gdansk Shipyards by workers. They were part of a trade union called Solidarity led by Lech Walesa, an electrician and an inspiring leader. My family has a special connection to Poland, as my mother was born there and her family lived there for generations before they had to leave during the Second World War. I grew up hearing stories about Poland, the Nazis, and the subsequent takeover by the Communists. They seemed to be this dictatorship that suppressed all dissent and tolerated no one who disagreed with the government. That’s why I was so surprised Solidarity’s protests were not only tolerated, but freely reported to the world. Then one day in 1981, I awoke and I heard it on CJOC Radio before I went to school. Leadership had hardened in the Communist party and the president, Wojciech Jaruzelski, had imposed martial law. Solidarity had been outlawed, the media had been severely curtailed, and Lech Walesa had been arrested. I was not sure what martial law was, but it sounded bad – and it was. Martial law would last until the middle of 1983. So much happened in my own life over the next few years, that it’s hard to believe it was only six years until the winds of change swept Eastern Europe clean of Communism. The rise of Mikhail Gorbachev in the Soviet Union, and the reforms he introduced, led to political reform all over Eastern Europe. It seemed like every day another domino was falling, whether it was the Velvet Revolution in Czechoslovakia, the coup in Romania that toppled Nicolae Ceacescu, unrest and change in Hungary, or the fall of the Berlin Wall. The winds of change blew through Poland as well. By the end of 1988, strikes forced the Communists to approach Solidarity to enter into talks. The result was an agreement in 1989 that created a new governing body and paved the way for free elections. It also created the office of president. Solidarity won most of the available seats, and Jaruzelski won the presidency. Ultimately, he was unsuccessful in convincing Solidarity to enter a coalition and, after his other allies broke ranks, he was forced to appoint Solidarity’s Tadeusz Mazowiecki as prime minister. Jaruzelski would resign soon after, and be replaced by Lech Walesa in 1990. The Communists had been blown away once and for all. The 1980s began with martial law and ended with the flag of freedom flying high in Warsaw. It had been quite a decade in Poland. While we all heard of Walesa, Mazowiecki, and the other reformers, Jaruzelski seemed to go quietly into that good night. It seems unfair that he simply drifted off into retirement. It wasn’t like Canada or the United States where leaders left office because they lost or retired. He had been deposed. Worse, his actions had led to the deaths of hundreds, and perhaps thousands, through the suppression of freedom and the assertion of authority. It really does not seem fair that he was allowed to just get on with his life without ever suffering the consequences of his actions. Thousands were never allowed to live out their lives because of him. It seems wrong that he got to live to a ripe old age and none of those people did.